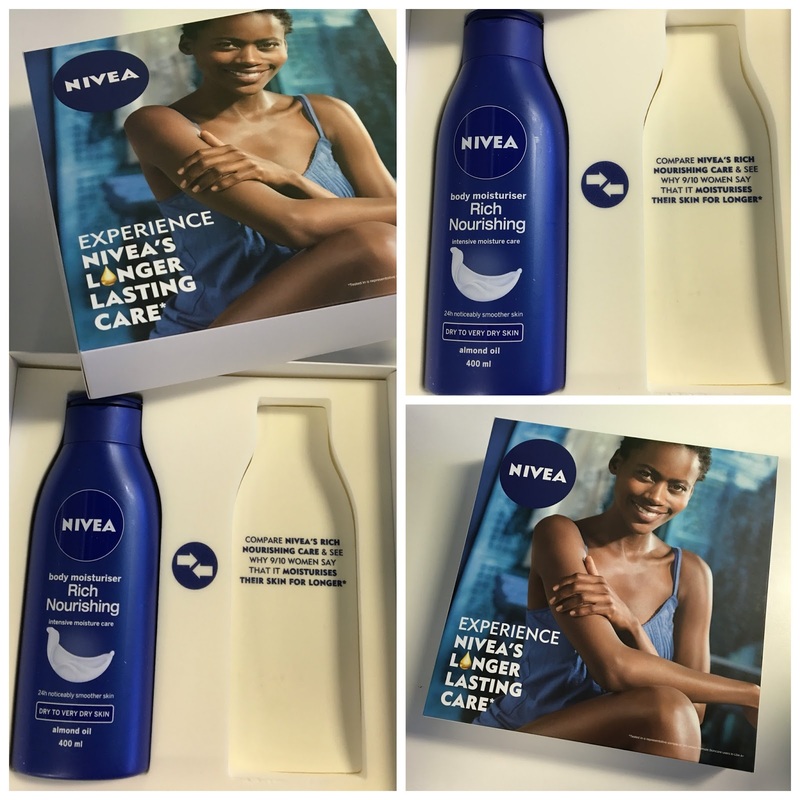 Nivea | Rich Nourishing Body Moisturiser / Gee Whiskers! I have mentioned on my Snapchat quite a lot how much I love Nivea body creams. I think I will always love them because I have been using them since I was a teenager. So I am very lucky that Nivea every now and then sends me some products to test out (even though I do purchase some staple products of theirs every month). Recently I was sent a bottle of their Rich Nourishing body moisturiser to try out although I am very familiar with this cream, having used it as a teenager up until now. The cream is easy to work into your skin and absorbs quickly. The moisturiser contains almond oil which coats your skin in a thin film to lock in the moisture. Although it is noticeable on your skin, it is light and doesn't feel oily nor greasy. I find that when I apply this in the morning and then take a bath in the evening, the moisturiser is noticeable on my skin still and is rinsed off by the bath water. My skin definitely looks and feels a lot softer and has benefited from the all day protection. I am always going to be a fan of Nivea's quality and how affordable their products are. A 250ml bottle costs only R36.99, 400 ml R47099 and a 625ml pump bottle is R69.99. Nivea is available at most supermarkets and pharmacy stores. A quick did you know - Nivea's Rich Nourishing Body Lotion was the world's first body lotion which was launched in 1963.